This company is allergen-friendly, flexible, vegetarian-friendly and affordable meal kit delivery service that offers high-quality recipes that will suit anyone dietary needs. It allows you to stay on the budget while cooking amazing meals in no time. 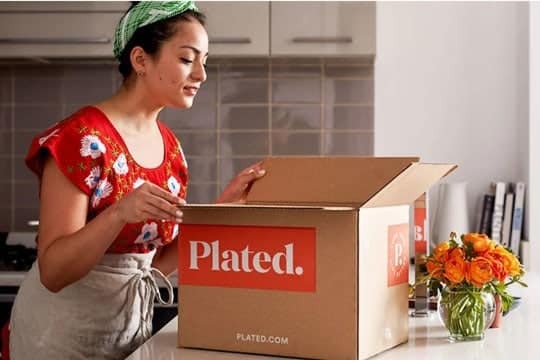 Plated is one of the most flexible meal kit delivery services, which offers a variety of recipes to help you make your food box: which ingredients to use, and the number of serving sizes. These delicious dishes are straightforward to make. It doesn’t matter how expensive or cheap a meal is if it doesn’t deliver on the promised goods. We are sure that you will agree that meal options are really important. Some companies simply have a more boring and mundane selection than others. There are even some that pigeonhole their customers into selecting between just a few recipes every month. Luckily for all of us, both of these companies definitely deliver on their promises and offer a good selection of different meals that will keep you healthy and craving for more. This section of the review comes down to preference – if you like having meals catered to your tastes, you should go with Hello Fresh; but if you like to explore new culinary territories, Plated should be a better pick. Hello Fresh will default their recipe selection based on the preferences you enter manually during the registration process. Every week, the company allows you to select between 3 and 5 meals, with limitless combinations. Plated offers much more choices – you can select up to 9 different meals, with vegan, paleo, and gluten-free options – something that Hello Fresh doesn’t offer. Paying top dollar for cheap, stale ingredients doesn’t make any sense. Therefore, one of the biggest considerations we have when we review these services is the quality of their ingredients. You should understand right from the get-go that both companies contain ingredients of the highest quality. For instance, Plated has meat 100% free of antibiotics, seafood that is sustainably sourced, and hormone-free beef. Hello Fresh has domestically-sourced meat that is also antibiotic- and hormone-free. The biggest difference, however, is the vegetables. Hello Fresh, despite what their name suggests, doesn’t have an all-organic vegetable offering. They say that their focus is on trying to help their customers include more fruits and veggies in their everyday diet, rather than focusing on organic food. Which one of these will provide more vitamins, minerals, and other nutrients? Well, Plated is primarily focused on high-quality produce that will be delivered at the peak of its freshness. And these are the products you won’t be able to find in your local supermarket, since it’s not mass produced for the needs of the many. Instead, they source their ingredients from local artisans that have small farms and take care of their products far better than large corporations. Hello Fresh doesn’t slack in this department either. They use fresh ingredients in order to help the consumers have a great cooking experience with nothing but healthy ingredients. While some of the seafood they order is farm-raised, most of it is in wild and caught in accordance to Monterey Seafood Watch standards that ensure that the fish is handled humanely. This may be a tossup between the two, but a factor that may sway you to one side is the fact that all of the Plated ingredients are designed to stay fresh for 5 days after delivery. That means you don’t have to prepare your meal right away – you may leave some of the ingredients for a day or two, and then prepare a bigger meal down the line. We should only point out that you don’t want to do this with their seafood, because it should be prepared within 2 days. 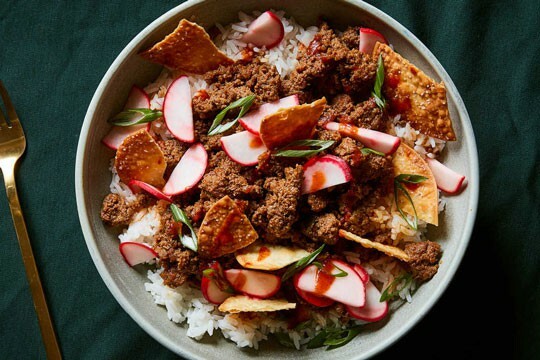 Hello Fresh comes with sixteen recipes a week, which is a respectable number of dishes. They are divided into three plans the first is the Classic Plan, which consists of eight recipes per week. The second is Family Plan with five meals in total. And last but not least, Veggie Plan with three recipes a week. Switching between these plans is something you will not have any problem doing. However, you can do this only at the end of the week. Plated has twenty meals a week. This number is one of the highest in the meal service industry. We must say that Plated’s meals have little more complex and cultured recipes than Hello Fresh’s. We must say that our vote in this category goes to Plated. This is due to their high level of diversity. Employees in Hello Fresh, take their job seriously and do everything they can to provide you with the best meal delivery. They pack the ingredients in special boxes that include ice to keep the meals fresh when they arrive at your doorstep. This northbox insulated packaging is created of recycled materials. Their shipping is free, and the company delivers food in 48 states, except Alaska and Hawaii. Getting your meal package from Plated is easy and convenient. This company uses and delivers insulated meal boxes that will keep your ingredients at the right temperature and fresh when they arrive. They are shipped via FedEx or local couriers and will arrive between 8 AM and 8 PM on your delivery date. Signature is not required. The company delivers meals to over 95% of the U.S. Switching plans – It is straightforward to change plans (Classic, Family, or Veggie), the number of meals received per week and the serving sizes. Cancellation – The company allows you to cancel or skip a delivery week. You need to cancel/pause by 11:59 PM PST five days before your next scheduled delivery. Otherwise, any cancellation after this date would not be processed. Refunds – If you are unhappy with any part of your Meal Box, you should reach out to the customer service within the first 5 days. The company will give you credit for that meal or ingredient, and in certain situations, issue a partial or full refund for it. Gift – You may purchase or/and receive Gift Cards through the Hello Fresh site or App. 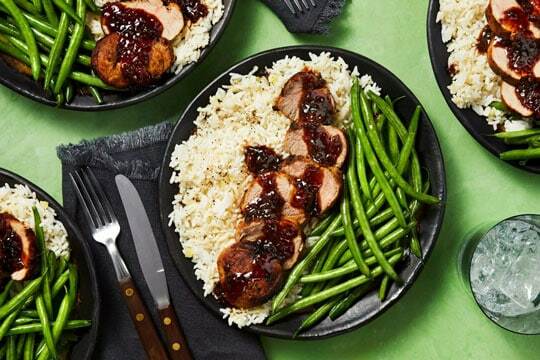 Free Trial – This meal kit delivery service sometimes offers discount promotions, free trials, or other vouchers if you create an account through the Hello Fresh website or app. Customizable – Both the app and website are user-friendly. You can change plans when needed, select your weekly menu, your payment method, determine your dietary preferences, or register. Switching plans – The company allows their clients to change meal plans, the number of dishes you receive per week, and the sizes of servings. Cancellation – The Plated is very flexible and allows customers to skip a delivery week or cancel it at any time. But, if you have meal delivery is already ‘’confirmed’’, you won’t be able to cancel the order. Refunds – If you are not satisfied with any part of your Meal Box, you could reach out to the customer service. All refund requests need to be made within 90 days from the day that you were charged for the meal delivery. Free Trial – Sometimes, this meal delivery company offers free trials for the subscription service. Customizable – You can specify your food preferences, register, change meal plans, change your method of payment and choose weekly recipes. Well, if you are only looking for a cheap offer that will keep you from being hungry, we can recommend Hello Fresh. However, if we are talking about all-around quality service, then Plated is the way to go. They have a huge variety of meal recipes, high-quality ingredients, and their packaging is superior compared to most delivery services on the market today. The specially designed package allows your food to remain fresh, even if the delivery people leave the package on your porch in the middle of a summer afternoon. This comes in handy if your meal gets delivered when you’re out of your home. Another great thing about plated is that the company doesn’t have contracts. That means, you can order their meals for a week, try them out, and if you don’t enjoy them, you can cancel your subscription without any penalties. So we definitely urge you to look into their meal plans, order a few meals, and try them out for the next week – and trust us – you won’t be disappointed.